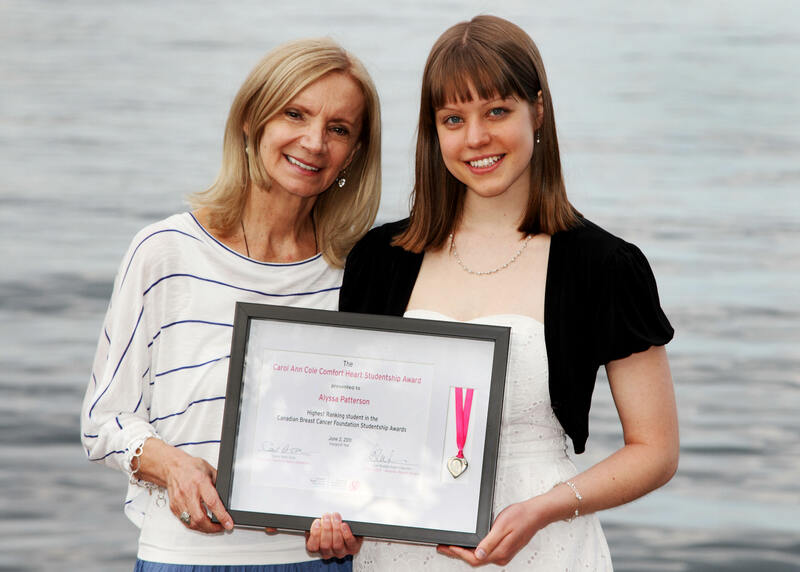 HALIFAX, NS, May 30, 2011 – The Canadian Breast Cancer Foundation – Atlantic Region (CBCF – Atlantic Region) is pleased to announce the establishment of the Carol Ann Cole Comfort Heart Studentship Award. Carol Ann is founder of the Comfort Heart Initiative, which has raised well over a quarter of a million dollars for CBCF – Atlantic Region and over one million dollars for cancer research overall. The Studentship Awards Program gives young researchers the chance to take their learning from the lecture hall to the laboratory while fostering an interest in breast cancer research. Ultimately, the Studentship Awards Program is contributing to the development and growth of a thriving Atlantic Canadian breast cancer research community. The Carol Ann Cole Comfort Heart Studentship Award will be presented in perpetuity to the top ranked applicant of the annual CBCF – Atlantic Region Studentship Awards Program. This ensures that a young researcher studying in Atlantic Canada will receive funding for their work on a 14-week breast cancer research project. The inaugural award will be presented on June 2nd to Mount Allison University student, Alyssa Patterson. Alyssa will spend the summer working in the laboratory of Dr. Stephen Westcott. Carol Ann Cole is a best-selling author, professional speaker, fundraiser, and breast cancer survivor, who is dedicated to helping others. Both she and her mother were diagnosed with breast cancer within days of one and other. Carol Ann survived; however, her mother did not. The loss of her mother inspired Carol Ann to find a way to give back to the cancer community. Working with Ocean Art Pewter to alter the design of their 'worry hearts', Carol Ann developed the 'Comfort Heart'. CBCF is the leading national, volunteer-based organization dedicated exclusively to creating a future without breast cancer. CBCF continues to blaze new trails in breast health and breast cancer by directing donor dollars to world-class research, as well as to hospital foundations and community groups for education and awareness initiatives, equipment used in the early diagnosis and treatment of breast cancer and quality of life projects. COBOURG -- There is more to life than climbing the corporate ladder, a professional speaker and cancer survivor discovered after leaving a career as a vice president. Carol Ann Cole is the featured speaker for the YMCA Northumberland Healthy @ Your Y Breakfast to support YMCA Strong Kids on Thursday, May 12, at 7:30 a.m. The healthy, fresh breakfast and talk will be at the Dalewood Golf and Curling Club. Ms. Cole is a bestselling author, member of the Order of Canada, a professional speaker and the founder of a national fundraiser. In 1992, Ms. Cole and her mother Mary were diagnosed with breast cancer within days of each other. After a 27-year career climb from typist to become one of the first female vice presidents with Bell Canada in 1989, Ms. Cole decided to make a change. "I wanted to write books, I wanted to move back east to Nova Scotia...I knew if I stayed in a corporate boardroom and worked 20 hours a day it wasn't going to happen," said Ms. Cole, who grew up in the Annapolis Valley in Nova Scotia. Her mother died in December of 1992 and Ms. Cole returned to work but left her job soon after. "I can honestly say from the day I walked out of there I had no regrets," she said. Ms. Cole said she will share her life story and some of the things she has learned over the years at the breakfast. "I have learned a lot of lessons and I am old enough to talk about what didn't work so well," said Ms. Cole. One of her biggest lessons came with the difficult decision to leave her job. "I learned that having a job is not the same thing as having a life," she said. Stress likely played a role in her cancer diagnosis, she said, but she has a "horrific" family history of breast cancer. She was the youngest in the family to be diagnosed and in 2008 she was diagnosed with breast cancer again. "That one hit me kind of hard, I had been 16 years cancer free," said Ms. Cole adding now at three years cancer free, life is good. She moved back to Toronto in 2007 to be closer to her only son¨ This is Ms. Cole's first talk with the YMCA but she hopes not the last. "I love giving back that way and hopefully being part of a good fundraiser," said Ms. Cole. Ms. Cole's presentations speak to corporate life and the balance with home life. She addresses change, teamwork, leadership, communication, humour, image, self esteem, career, lifestyle and how to stay motivated in all that you do. In addition to public speaking, Ms. Cole has authored bestselling books -- 'If I Knew Then What I Know Now' was published in the fall of 2009, 'Lessons Learned Upside the Head' in 2006 and 'Comfort Heart a Personal Memoir' in 2001. She has received numerous awards including the Golden Jubilee Medal, the elite Maclean's Honour Roll, and the Terry Fox Citation of Honour. She is profiled in 'Canadian Who's Who', and in the 2005 edition of '1000 Great Women of the 21st Century' published by the American Biographical Institute in Raleigh, North Carolina. As the founder of the Comfort Heart Initiative, Ms. Cole has helped to raise more than $1.5 million for cancer research and has put over 245,000 Comfort Hearts, a pewter charm, in the hands of people all over the world. She also volunteers as 'writer in residence' with the Good Neighbours' Club in downtown Toronto - a day shelter for homeless men. All proceeds from the Healthy @ My Y Breakfast support the YMCA Strong Kids Campaign. YMCA Strong Kids ensures everyone can belong to the YMCA and that children get off the couch and away from the TV, computer and electronic games and into active programs that give them opportunities to be fit, healthy, learning and growing. YMCA Strong Kids provides financial assistance programs for over 1,600 children, families and individuals throughout Northumberland to participate in YMCA programs, Day Camp and Child Care. Tickets are $45 and are on sale at the Cobourg YMCA, 339 Elgin St. W., Cobourg. Tables of eight can only be reserved ahead. Carol Ann Cole makes one of her biggest marks with the soothing touch of a thumb. Carol Ann Cole with former Governor General Clarkson. The former Wilmot girl who worked her way from an entry-level typist job to being among the first female vice presidents at Bell Canada admits she relies more on soft 'people' skills more than formal education. They used to call her the country bumpkin in the boardroom because she was the high school grad from rural Nova Scotia, she says. As it turned out the little lessons she learned here have made a big impact on countless lives. Using a pewter heart as her talisman, Cole has raised more than $1 million for cancer research. In partnership with OceanArt Pewter, the Nova Scotian company that first designed the signature pendants, she has sold more than 220,000 Comfort Hearts to people all over the world. These little pieces of pewter began life as 'worry hearts,' a heart shaped pendant imprinted by a thumb. Rubbing this imprint in times of trouble offers a comfort that one is not alone, that others have gone down this road before. And Cole has gone down cancer road, a few times. First in 1992 when she and her mother battled breast cancer together. Cole survived, but sadly her mother lost the fight less than a year later. Then 14 years later, Cole was diagnosed with skin cancer. And again in 2008, her breast cancer returned. "Cancer shows you who you really are, it allowed me to be more open and honest about who I am," she said. "People have dreams and once you are diagnosed with cancer, it changes things." She added that staring into the unfathomable depths of that darkness has forced her to dig deep inside herself and find strength and hope she never realized she had. The big things we think matter -- money, influence, education -- aren't so important. She remembers one of her life changing moments took place in Toronto, when she noticed a fellow patient during a radiation treatment. "She came in carrying a briefcase and wearing a business suit," Cole said. "When the treatment was over, she put the suit back on, picked up the briefcase and went back to work." Like her fellow cancer patient, Cole had spent nearly 30 years of her life vying for a spot as one of the first female executives. But cancer moved her to leave this workaholic lifestyle behind and begin listening to the wisdom of her heart and her body. Cole says one of her new favorite expressions is, "Here's your cancer, keep the change." Cancer may end some things, but it opens new doors and directions if you are brave enough to walk through them, she said. Now thriving, she continues to turn her darkest days into lessons of hope for others. In 1994 she took an early retirement package from Bell, and a few months later transformed OceanArt Pewter's worry hearts into hope for a cure and dedicated the project to the memory of her mother. In 2001, Cole was awarded the Order of Canada for this Comfort Heart Initiative. She's the author of three books, with many awards to her credit, Cole says one of the biggest lessons of her life has been finding that no one is 'just' anything. "I've removed 'just' from my vocabulary, no one is 'just' a volunteer, or 'just' a high school graduate," she said. "Everybody matters. Sometimes all people need is a pat on the back and the knowledge you are willing to help. It doesn't have to be big -- little things matter." Most of the time it's not the big things we do that matter, it's little things that make the most difference to people, she said. It was this knowledge of soft skills that helped move her up the corporate ladder, but paying it forward turns out to be its own reward. She added that no one knows what secret worries other people carry on their shoulders, so taking the time to offer encouragement through a pat on the back, or being nice twice can make a world of difference. High on Cole's list of the little soft skills that really matter are remembering people's names and not interrupting when another person is speaking. While knowing the soft skills of listening, caring, sharing, and helping may have served her well enough in the corporate world, it has surpassed the first milestones during her second career as an author and motivational speaker. At the beginning of her corporate career in 1981, Cole said she had about 300 names to remember. At the height of her Bell career, this list had grown to 3,000 names. These days the number has reached the hundreds of thousands. It was a super Sunday for Markham Stouffville Hospital's breast health centre. It will benefit from about $200,000 raised at the Celebration of Hope Breast Cancer Luncheon, held Sunday. The 21st annual event featured boutique shopping, a gourmet lunch, live entertainment, a fashion show, a live auction and many prizes. This year also featured the first-ever Hope Awards, which recognize people that have shared their personal cancer story in a meaningful and public way. Author Carol Ann Cole, Citynews anchor Mark Dailey, Classical 96.3's Zoomer Report host Libby Znaimer, CTV health and medical contributor Marla Shapiro, Canada AM co-host Beverly Thomson and Q107 radio personality Maureen Holloway received the awards this year. Most of the recipients, who attended the luncheon, couldn't believe how big the event was, said Allan Bell, the director of corporate sponsorship and events for the Markham Stouffville Hospital Foundation. He added that it was nice to have these people who have been so vocal about their experiences with cancer at the event. In the part decade, the event has raised more than $2 million in support of the fight against breast cancer. "It's just so wonderful to be in a community where everyone comes together for one day and raises so much money for one cause," Mr. Bell said. About 1,200 attended the luncheon. It's presented by the York Region Breast Cancer Friends, in partnership with the Markham Stouffville Hospital Foundation, on behalf of the hospital's Breast Cancer Health Centre and the Canadian Breast Cancer Foundation. Carol Ann Cole was in the final stages of proofreading her motivational memoir when she was diagnosed with skin cancer. A blister-like spot on her face had started to bleed a bit, so she went to the doctor and a biopsy confirmed what she had feared. It was an ironic discovery. Much of her book — and her life — is about the devastating disease. She battled breast cancer about 14 years ago while watching her mother succumb to it. "Like so many others I lived with the belief that 'cancer happens to someone else, not to me,' " Cole, 60, said in a recent e-mail interview. "It scares the hell out of me." But she recovered, living to walk away from her career as an executive at Bell Canada in Toronto and concentrate on some of her other life goals. She chronicles her experiences in Lessons Learned Upside the Head – From Boardroom to Bedroom, Career to Cancer and Beyond. "I have made the decision to view cancer as a doorway rather than as a death," she said. "Even though it continues to kill so many people I believe that with every death, and every diagnosis, doors are left open for us to walk through." Still, the decision to leave her job wasn't easy. She had struggled hard to climb the corporate ladder in the 1970s and 1980s, when women were hitting a much lower glass ceiling. "Behind my back I was referred to as Bell's country bumpkin because I was from rural Nova Scotia and came with a high school education," she said. "Women didn't openly speak of their ambitions in the workforce." She was giving up much more than the huge paycheque and generous perks. But she had a list of things she wanted to do; her plans consisted of moving back to Nova Scotia, giving back to the cancer community, doing some public speaking and penning her memoirs. "I am a great believer in what have often been called the 'soft skills' — listening, caring, sharing and helping others," Cole said. "We put too much emphasis on the diploma on the wall and we forget that people need to feel they work 'with' us not 'for' us. It is these soft skills and the development of them over time that allows those around us to feel connected to us." She hopes her book will guide others on similar paths as she shares her experiences of leaving home in Wilmot as an 18-year-old, embarking on a challenging career, getting married, having a child, then getting divorced and being a single mother — all while still in her early 20s. "The sin is in pretending we don't need anyone to help us ever." Back in the 1990s she started a fundraising campaign for cancer research by producing thousands of Comfort Hearts, small pieces of pewter to reassure sufferers as they hold them in their hands. More than 214,000 have been produced, resulting in over $1 million being raised for cancer research and Cole becoming a member of the Order of Canada. Cole hopes her story will remind people that it doesn't take much for someone to be happy and successful. "My book is about living life with your eyes wide open and acknowledging that your blessings do not necessarily include your cars or your cash," she said. "It is about caring from your heart and living in the moment – living for today and enjoying life to the fullest." Although she learned in August that the doctor had gotten all of her skin cancer, the fear of her breast cancer reoccurring still lurks in her mind. "I don't dwell on it but I would be less than honest if I did not admit that after all these years I still worry now and then," she said. Jeffrey Simpson is a freelance book reviewer. She's known around the country and beyond as "the comfort-heart lady," after her fundraising initiatives distributing pewter hearts to hold or rub as de-stressors for those living with cancer or any other life crisis, netted more than a million dollars for the Canadian Cancer Society several years ago. But Carol Ann Cole has a bigger story to tell. A self-labeled "valley girl" from Nova Scotia's Annapolis Valley, she left for the big city of North Bay at age 18, landing a job in the secretarial pool at Bell Canada. From there she climbed through the ranks, eventually making it as one the first female vice-presidents at one of the country's biggest corporations. Then in 1992, Cole and her mother were diagnosed with breast cancer within days of each other. She survived after a lumpectomy and removal of some lymph nodes. Her mother wasn't so lucky. That experience changed her life and prompted her to take an early retirement to devote her time to working with cancer patients and fundraising for research. The story is now told in Comfort Heart: A Personal Memoir, an autobiography written with the assistance of freelance journalist Anjali Kapoor and published by ECW Press in Toronto. It was launched Sept. 20 and is now in bookstores. Cole says she had wanted to write a book and this one started out to be the comfort heart story, including responses from people whose lives were touched by the pewter hearts. However, after her proposal was rejected by five publishers, ECW, a small publisher which describes its offerings as "writing that matters ... books that challenge, provoke and make a difference," saw value in her story. "They said there is a story here. It's just not the one you're telling," says Cole. "They said, "Make it the story of your life. It's motivational and meaningful." So that's what we did. "The story could really be anybody's story," she adds. "The things I've been through, others have been there in similar or the same situations. I'm happy if people can learn from the lessons of my life, if they think, 'if she can do it, I can do it too.'" Cole, who also has a part time career as a motivational speaker on a number of topics from teamwork and leadership to self-esteem and dealing with change, was recognized this year with the Order of Canada. "I was a nervous wreck, being included in that company," she says. "But I found so many of those people were familiar with the comfort hearts and many had them. They were all telling me their stories." The publicity surrounding that event as well as the book promotion is revitalizing the comfort-heart campaign. Cancer-society offices and even the publisher's marketing representative have received requests from people wanting to know if the hearts are still available. Cole is now working on a second book "about the lessons I've learned" and many of the comfort-heart stories may be included. "In the memoir, I tried not to give advice or be preachy," she says. "But there are some things I think I know about – like how to climb the corporate ladder, how to talk to cancer patients - and I think I can help people with some of that knowledge." Information about the book and ordering information can also be accessed through Cole's website at www.carolanncole.com. How one person with a Vision and a Heart made a difference. In January, 1992, both Carol Ann Cole and her mother Mary were diagnosed with breast cancer. Carol Ann survived; her mother did not. 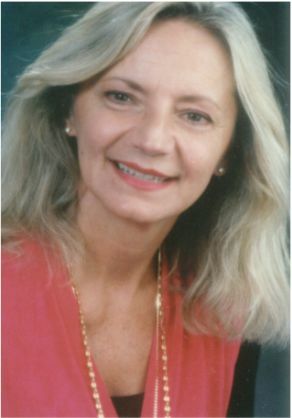 A Vice President of Bell Canada who took an early retirement package in 1994, Carol Ann subsequently left Toronto and returned to her home town of Halifax Nova Scotia. During her cancer journey, she had come across a pewter pendant called "the worry heart" made by OceanArt Pewter in Prospect, N.S. She bought one for herself, and ended up buying more for friends and acquaintances in the cancer community. She renamed it the "comfort heart" in tribute to its soothing effect during times of stress. A colleague at Bell suggested that instead of giving the hearts away, she sell them to raise money for cancer research. She liked the idea, seeing it as a way to give back to the cancer community that had supported her in her own fight - Carol Ann found her cancer very early and says she came through treatment quite well – as well as fight the disease that had killed her mother. She set out to raise $500,000 for cancer research through selling the comfort hearts. Carol Ann thought it would be a wonderful way to connect people and also a good idea for corporations to take on. That part is happening slowly. In Calgary, PetroCan got behind her idea in the spring. Recently the mayor of Calgary declared November Comfort Heart month and Carol Ann plans to end a speaking tour there on Nov 4. On that cross-Canada tour, which started this week, she will be talking to the public as well as Cancer Society groups. Initially Bell Canada spent $30,000 buying 3,000 hearts and gave them back to the Canadian Cancer Society for their volunteers to give to patients as they saw fit. Now they are being sold through Canadian Cancer Society offices across country and during October and November at the jewelry counters at Eaton's stores nation-wide. They keep supplies on hand, the Cancer Society orders them in large batches – the last order was for 14,500 – from OceanArt. Carol Ann's original goal of $500,000 has been raised. Her new goal is to raise $1 million by year's end. She hopes the momentum will build during Breast Cancer Awareness Month and lead to enough sales before Christmas to ensure the new mark is reached. Carol Ann had intended to end her own involvement when the $500,000 mark was achieved. But she'll most likely stay on, even after the $1 million is raised. She gets letters about the impact of the comfort hearts from all across the country. One woman in Nova Scotia recently went into an OceanArt Pewter store there to tell them how much the heart had meant to her partner, for whom she had bought it, and who had since died. Feedback like that is what keeps Carol Ann going. She is just a volunteer, and gets no money from this fund-raising effort. When someone asked her what's in it for her, she's quick to say: "a cure for cancer." A number of dedicated, talented women have devoted countless hours, talent and energy to fighting breast cancer Carol Ann Cole and Jacki Ralph Jamieson are two who have dedicated their considerable talent to raising money and awareness for breast cancer. In January 1992, both Carol Ann Cole and her mother were diagnosed with breast cancer. Carol Ann survived, her mother did not. During her cancer journey, Carol Ann came across a small pewter pendant, a 'Worry Heart," produced by Oceanart Pewter in her home province of Nova Scotia. She quickly renamed it "Comfort Heart," once she discovered its soothing effect during times of distress. Then a vice-president at Bell Canada, Carol Ann decided to rechannel her talents to fight cancer. Her goal: to raise $500,000 for cancer research, while reaching out and providing support to women with cancer. Bell Canada kick-started the program with a purchase of 3,000 hearts, which the Canadian Cancer Society distributed to patients. Since then, CCS volunteers and thousands of Canadians have joined Carol Ann in her efforts to sell and distribute the hearts. (For example, employees at Nexacor, a small Bell subsidiary, were so moved by the program that they raised more than $20,000.) Each heart is sold for $10 with $6 going to cancer research. Having recently reached her initial goal of $500,000, Carol Ann and other "Comfort Heart" supporters are now working toward a goal of $1 million. "Comfort Hearts" are available through your local Canadian Cancer Society office and during October and November, at the jewelry counter in Eaton's stores across the country. Halifax - In January 1992 Carol Ann Cole, 51, and her mother, Mary. were diagnosed with breast cancer. Her mother died and she survived. Cole vowed to fight the disease but she didn't know how until she discovered Worry Hearts in the Nova Scotia gift shop Oceanart Pewter. She gave 117 of the silver-dollar sized pewter heart pendants to fellow cancer survivors before calling the shop. I said, "I'd like you to change the name of your Worry Heart to Comfort Heart, repackage it and dedicate it to my mother's memory. I'd like you to pay for all of that and give your net proceeds to (cancer research)." The shop agreed without hesitation. General manager Linda Power is a two-time cancer survivor. Over 70,000 Comfort Hearts have been sold, raising more than $750,000. The pendants are now also available through the Canadian Cancer Society. Cole is cancer-free but expects she'll spar with the disease again due to the prevalence of cancer in her family. But, she says, "I'd beat it again because I'm strong and aggressive now." "This article is courtesy of Progressive Choices Publishing www.progressivechoices.ca "
Like most mothers Carol Ann Cole considers raising her child her proudest achievement in life. It is easy to hear the happiness in her voice as she describes her son, James Scott, now 34, and his accomplishments. "He even brags about being a Momma's boy," Carol Ann laughs..
James certainly does have reasons to brag about his Mom. This Middleton Regional High School graduate has achieved great success in so many areas of her life — and yet still remains the modest Maritimer. "I now just want to give back to others what I have learned," says Carol Ann. "Just like there were those who helped me along the way. " Carol Ann Cole was born in Wilmot, Nova Scotia in 1946. As a young woman she moved to North Bay, Ontario and began her career there at Bell Canada as a typist. She was eager to learn and showed great determination and strength. These abilities did not go unnoticed by those at Bell and she was provided with many opportunities to satisfy her quest to soak up knowledge. "You should never be afraid to say you don't understand something. People will always respect you for that and won't mind helping you," Carol Ann says. Her keen sense of determination and self-proclaimed workaholic tendencies soon propelled her upwards on the corporate ladder at Bell Canada. With each successive step that she took, Carol Ann was always aware of those who had assisted in her success. In fact, she was fondly recalled as one of the bosses who remembered all the installers' names. In 1989 she achieved a unique goal — one that brought her both great career recognition and personal satisfaction. Carol Ann was named one of the first female Vice Presidents of Bell Canada. "I was proud to be in this non-traditional role and was proud to now have 3,000 people on my team," she says. Within three short years of being named Vice President of Bell Carol Ann's life was to undergo a drastic change. Both she and her mother were diagnosed with breast cancer in 1992. Her mother died the next year. "In 1994, after the battles I had been through – I decided to retire from Bell Canada and moveback to Nova Scotia. "I also knew it was the right time to be here and to start giving back so I moved home in1996," she says. It was anything but an easy time for Carol Ann following the death of her mother, but she would not allow herself to be defeated. True to her belief in being honest Carol Ann says that she was not embarrassed to shed a tear, but refused to allow negative energy to consume her. "I definitely choose to believe that your highs won't be as great in life if you don't ever experience the lows," says Carol Ann. On a chance trip shopping one day Carol Ann discovered a wonderful little pewter heart that was sold under the name of Worry Hearts. She bought several and gave them away to friends. This was the beginning of Carol Ann's quest to find a way to start giving back. These little hearts would be the means to generate funds for cancer research. "The ideas started coming fast and furiously, "says Carol Ann. "I knew that it would work if it were planned properly, and I knew that I wanted to put this fundraising into cancer research. It is my dream for everyone to live and hope in a world without cancer. Research IS hope." Carol Ann wanted to get started right away on selling these hearts for her cause. First she met with the manufacturers, OceanArt Pewter. They agreed to help with the plan. "OceanArt Pewter promised three things. They agreed to give us the net proceeds, repackage it for me, and accept the name change to Comfort Hearts. The Comfort Heart Initiative had begun. 'Giddy up, let's go,' as my son would say," she says with a laugh. The original sales objective was met easily and then received a big boost when the Toronto Star ran a story on the fundraiser on December 13, 1996. To date the Comfort Hearts have raised over one million dollars. It is important to point out that all the work that Carol Ann puts into the Comfort Heart Initiative is on a volunteer basis. In fact she pays for all the mail costs and even writes a personal note to almost everyone who purchases a comfort heart. She has also received thousands of personal stories from the Comfort Heart owners. "I am so fortunate that Bell Canada has printed all the cards that I use for inserts. They have helped a lot," she says. Carol Ann has been given several awards over the past few years for all her work on the Comfort Heart Initiative. She quickly dismisses any mention of these accolades and instead says that she would give every single medal away if she could give them back to those who have helped her along the way. "So many people don't get recognized for the work they do, both on a professional and volunteer basis. Look at all those installers at Bell they certainly have helped me far more than they realize on my road in life," says Carol Ann. For the record Carol Ann has received much more than just simple medals for a job well done. She has, in fact, been the recipient of some of the country's most prestigious honours. Carol Ann in 1998 was 'one of twelve' women named to the Macleans Magazine Annual Honour Roll for outstanding Canadians and in 1999, Woman of the Year by the Jewish Women International of Toronto. In addition, she has been awarded the Golden Jubilee Medal created by the Government of Canada to commemorate the Queen's 50th anniversary of her ascension to the throne, and on May 30, 2001 experienced, in her own words, one of the most humbling days of her life. Carol Ann was inducted into the Order of Canada by the Right Honourable Adrienne Clarkson for her role in the Comfort Heart Initiatives as a major fundraiser for cancer research. Carol Ann says that she finds herself now in a good place both professionally and personally in her life. The Comfort Heart Initiative is doing well and she is busy now doing motivational speaking. "I had a need to reconnect with the professional world and then started my own international motivational speaking company called ColeMind. I travel quite a bit and really enjoy the work and experience that speaking brings. My goal is always to reach one person in one single day. If I can do that then the work is all worthwhile," she says. Carol Ann explains that although cancer has been a doorway for her, she is not defined by it. "I have written a book which is really an autobiography. It is called Comfort Heart — a Personal Memoir. Now I am working on another book which is basically a sequel to the first one," she says. "It will outline the mistakes that I have made and the lessons that I have learned. There is so much more to me than breast cancer. I want people to know that." Planning, preparation and lots of people helping are the necessary ingredients to ensure any event is successful. Having an incredible guest speaker like Carol Ann Cole is certainly the icing on the cake! Thursday April 24th was such a day for members of the Central Annapolis Valley Chamber of Commerce (CAVCoC). The day started early for Steve Keeling (Classic Hearth and Leisure – incoming President) and Charlene Rowlandson (The Aurora Newspaper – Function Planning Chairperson) as they had the pleasure of escorting Carol Ann to Middleton Regional High School (thanks to Bruce Chev Olds for the loan of a van!). At MRHS Carol Ann was able to speak to students from grades 10 – 12 about her life experiences – including her diagnoses of breast cancer 11 years ago and the changes it made in her life. She was thrilled to be back in her old school (apparently she graduated 39 years ago from MRHS as a very smart 6-year-old!) The next stop of the day was lunch at the Mid-Valley Hotel where the group was joined by Roy Keast (Chapel Creek Gallery & Picture Framing – outgoing President) and Tim Jansen (Apple Pie Pottery – incoming Secretary). Everyone thoroughly enjoyed learning more about Carol Ann, her endeavours with the Comfort Heart initiative and her success at fundraising well over a million dollars for Cancer Research. Tim remained with the group as it headed for Middleton Town Hall. There awaited Karl Armstrong (Economic Development Officer for Middleton) and Suzanne Wagner (Editor Monitor-Examiner). Karl presented Carol Ann with a beautiful bouquet of flowers and a tour of Town Hall followed. There was much discussion about Carol Ann's 1st book "Comfort Heart – A Memoir" and even some talk about the next one she is hoping to publish. Then it was time for some local sightseeing and reminiscing... a visit to Riverside Park... a drive through Wilmot (Carol Ann was full of stories about that 2 room school house!)... then on to a small reception at Chapel Creek Art Gallery. The afternoon ended with an impromptu visit with Margaret Jansen at Apple Pie Pottery. Little did Carol Ann know that the pieces she was admiring that afternoon would be her thank-you gift that night! 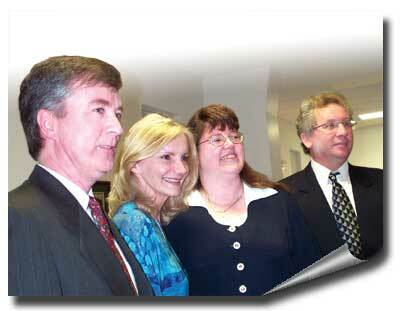 The evening event was the reason for Carol Ann's presence in the area. It was time again for the CAVCoC to hold the Annual General Meeting and Dinner. As a local woman who has done so well in her life, Carol Ann is an inspiration to all. Her final position at Bell Canada (before early retirement) was as the first female Vice President in a non-traditional role. She now has a business as a professional speaker. Her awards are numerous and she wears the lovely small pin that signifies her as a recipient of the Order of Canada. She also recently received the Queen's Jubilee medal. Her speech on April 24th touched the hearts of all who were there, especially when she started off with the moving poem "The Dash". You can read this poem on her website (www.carolanncole.com) and it is certainly worth your time. You can also find out many other amazing things about this amazing woman. Many listeners took advantage of the opportunity to purchase Carol Ann's book after her speech and were able to have it personally autographed. As a special touch from Carol Ann, she handed out book marks that her former employer (Bell Canada) had made for her book launch. These book marks had a pewter Comfort Heart attached to them and many who received them have already passed them on to someone special in their lives who needs a little extra 'comfort' at this time. The CAVCoC was very fortunate to have her at this event and should mention that it would not have been possible without the help of four local business sponsors (CIBC, Canadian Tire, Classic Hearth and Leisure and Valley Drug Mart/Pharmasave). Last fall I received a message from Family Transition Place. They were looking for a speaker to celebrate International Women's Day who would provide not only an engaging and inspirational presentation, but who would appeal to both women and men. They did not want to exclude spouses and partners, fathers and sons from this evening of celebration. It appears that FTP has scored on this mission, big time. They have managed to engage Carol Ann Cole, business professional, author, activist and widely acclaimed Canadian, to speak on Tuesday, March 4 at the Orangeville Opera House. Cole's own personal story is one of triumph over adversity. Her life began as a stuttering, small town girl from the Annapolis Valley who became one of the first women to break tradition and rise to vice president of Bell Canada, back in the '70s. After she and her mother battled breast cancer, she went on to found the Comfort Heart Initiative, raising more that $1,000,000 for breast cancer research. Cole has been acclaimed Woman of the Year by numerous organizations and was appointed a Member of the Order of Canada and awarded the Golden Jubilee Medal among other meritorious citations. "Through her personal experiences in business and charity, she has experienced attitudes, actions and structures that both create and hinder women's equality. Carol Ann also sees how we voice our own self worth as part of the picture of equality," said Shelley Chidlow, from FTP. The extraordinary evening that FTP has lined up for March 4 will be emceed by writer and CBC broadcaster, Bernadette Hardaker and will feature award-winning composer/lyricist, Leslie Arden and the Orangeville Sweet Adelines. The event, fittingly entitled "Voices," is of course a fundraiser for FTP. It is also sponsored by Orangeville Banner, Egan Funeral Home and Millcroft Inn. Tickets are $20 and are available in Orangeville at FTP (519) 942-4122 ext. 240, BookLore, and the Opera House. And just in case there are still some who don't know, Family Transition Place provides emergency shelter, individual and group counseling, second stage housing, as well as legal and transitional support to abused women and their children. FTP also provides a 24-hour crisis line at (519) 951-HELP (4357) as well as violence prevention education and presentations to schools and community groups. Annapolis Valley's own- Author Carol Ann Cole is coming to Greenwood! She is a Member of the Order of Canada. She has received the Terry fox Award, the Jewish Women International Woman of the Year Award, Canadian Auto Workers Woman of the Year Award, YWCA Recognition Award, and has been named to MacLean's Honour Role to name just a few of her accomplishments since she graduated from MRHS in June of 1964. Yet, I bet if you asked my niece what she is most proud of she would tell you that when she was introduced as the guest speaker for the MRHS graduation ceremonies on June 25, 1998 that ranks among her fondest memories. As she left the auditorium that evening one local resident quietly said "We are very proud of you here in Middleton dear. You can go anywhere you want, but you belong to us." Carol Ann has authored her first book, Comfort Heart - A Personal Memoir, and will be at the Inside Story in the Greenwood Mall on Saturday November 24th at 1 pm to meet you and autograph your copy of her book. The story of the founder of the Comfort Heart Initiative is as inspiring as the power of the Comfort Hearts themselves. Carol Ann left Wilmot at the age of 18 to find a career in the 'big city' of North Bay, eventually landing a job at Bell Canada. As she began to climb the ranks of the company in the early 1970's, she discovered the obstacles that faced a single mother in the corporate world. But she continued to persevere and became one of the first female vice presidents of one of the country's biggest corporations. And then, her world came crashing down. Within days both Carol Ann and her mother, Mary Cole were diagnosed with breast cancer. While Carol Ann was able to beat it, the loss of her mother later that same year had a monumental impact on her life. When she walked into OceanArt Pewter and discovered the Worry Hearts, small hearts that you would rub in times of stress, she knew she had found the way to give back to the cancer community. She walked away from her six-figure salary and devoted her time exclusively as volunteer working on the Comfort Heart Initiative. To date she has raised over one million dollars for cancer research. You will find a comfort Heart in the hands of over 170,000 Canadians to date. Comfort Heart - A Personal Memoir is a story of determination and courage, and how you can accomplish all your goals if you put your mind - and heart - to it. Carol Ann tells me she is bringing a gift for the first 100 people who purchase her book on November 24th. Please come and make her feel welcome. Let's show her how proud we are of our own "valley girl". We all know someone with a heart of gold. Well, Carol Ann Cole has a heart of pewter. In fact, she has thousands of them. The story begins in 1992 when Carol Ann and her mother were diagnosed with breast cancer within weeks of one another. Until then, Carol Ann was a Vice-President at Bell Canada and a self-described workaholic. Both women underwent treatment but her mother died less than a year later. Carol Ann vowed to fight the disease and lent support to the many cancer patients she had met while receiving treatment. Upon her return to work at Bell, however, Carol Ann began to feel that she no longer belonged in a business environment and decided to try devoting herself to fighting cancer full time. Carol Ann grew up in the Annapolis Valley, Nova Scotia, and while visiting home on vacation, she stopped in at a store called OceanArt Pewter. There, she discovered "Worry Hearts," small pewter talismen designed to soothe the holder in difficult times. "When I first saw them, I thought they would be such a great treat for all the cancer patients whom I knew," Carol Ann comments. I would give them the hearts and tell them to hold them while receiving chemotherapy treatments and encourage them to think positive thoughts. I'd tell them that I would try to send some positive energy when I held my own Worry Heart. And it really caught on. People began to want them for reasons other than cancer. Carol Ann already had given away 117 hearts as gifts by the time a friend suggested that she sell them to raise funds for cancer research. "I began to think that maybe this was an opportunity to raise some money so I went back to some of the survivors I'd given hearts to, just to make sure they'd be comfortable with the idea. They were very happy about it and even felt that they could be my best salespeople." Carol Ann approached OceanArt Pewter and asked them to be involved in the initiative. She wanted them to repackage the hearts and change the name to "Comfort Hearts," as well as slightly modify the design in order to accommodate a small hole which would allow buyers to place their heart on a key chain or wear them as a pendant. Linda Power, Vice-President of OceanArt, is herself a cancer survivor. She explains: "'The disease has touched myself and my family, and we were looking for a way to contribute, to raise some money for cancer research. We had already taken on small projects, like selling suncatchers, but we really wanted to do more." When approached by Carol Ann, OceanArt Pewter took the Worry Heart off the market and began selling the Comfort Heart. And even now, five years after the initiative was launched, Linda enthuses: "It's amazing how many people are still calling in to place orders. The hearts have had a chain letter effect - people receive one for themselves and then call to buy one for their friend." Linda says that the largest single order was for 10,450 hearts, but the majority of proceeds still come from individual orders. The hearts sell for $10 each, and $6 from every sale goes towards cancer research. Originally, Carol Ann worked exclusively with the Canadian Cancer Society and to date, has raised more than $1 million. The initiative generated a lot of interest from other organizations which also wanted to sell the Comfort hearts. She explains: "I decided that it would be wise to work with other groups that specifically research breast cancer, like the Canadian Breast Cancer Foundation and the Rochester Breast Cancer Coalition in the United States." The Rochester group has already sold almost 3,000 hearts. This type of volunteer work kept Carol Ann busy for almost five years as she contributed to the cancer community in her mother's memory. Her regular activities included speaking engagements at various cancer-related events, including being named the fall spokesperson for the Canadian Breast Cancer Foundation in the Atlantic provinces. Deborah Grant is the Executive Director of the Atlantic chapter of the Canadian Breast Cancer Foundation. The Foundation is the largest national fundraising body for breast cancer research and programs that raise awareness about the disease. "We are fortunate to have Carol Ann on board because she has made people so much more aware of breast cancer, and she has taken it upon herself to inform people about breast health and the importance of doing a self-examination on a monthly basis. She has empowered a lot of women by helping them to understand the importance of looking after your own body." Deborah feels that the Comfort Heart initiative has complemented the Foundation's traditional fundraising projects such as the annual CIBC Run for the Cure. She continues: "Carol Ann is the easiest, most delightful person to work with. She has an enormous amount of energy and is a great communicator with absolutely everybody." Last year, Carol Ann launched herself into the world of professional speakers and started Colemind, her own speaking business. "I try to balance my time between my company and my volunteer work: I now take on only a few volunteer commitments a month." Carol Ann greatly enjoys speaking and obtains work through her corporate contacts and as a member of the Canadian Association of Professional Speakers. She has developed several different motivational talks and often speaks at conferences. Her most popular talk is one entitled "You're all That" a presentation which encourages people to identify their personal skills and gives them tips on how to become self-motivated. "I've heard Carol Ann speak, says Linda Power, She's just phenomenal to hear, She really touches peoples heart and she's sincere - people open up to her, they come up to her and start talking as though they've know her all their lives." Carol Ann credits her networks and her partnerships for her success. She notes that it is a misconception to conceive of partnerships only as alliances between organizations. In fact, partnerships can be between two individuals. "We're presented with a partnership opportunity almost every time we meet someone. If it hadn't been for the corporate contacts I gained while I was at Bell, I don't think I would have had the same level of success." Ruth Foster is Associate Director of the Corporate Philanthropy Program at Bell Canada. She explains that Carol Ann was one of the highest regarded Vice-Presidents at Bell. AS VP of the Installation and Repair Department, Carol Ann broke the mold by entering into a position that was not traditionally considered to be a female role. Ruth muses: "A lot of us think about and talk about how we can change things. But Carol Ann is one of those people who has gone ahead and made a difference. It's remarkable what one individual has been able to accomplish. This initiative has far exceeded the potential we saw for it." Bell is actively involved in the Comfort Heart project. The company buys a large number of hearts annually and distributes them in various ways. The medical staff at Bell offices across Canada are given hearts to hand out to employees or patients who are suffering; some of the hearts are sent to the Canadian Cancer Society to send on behalf of Bell "with a message of hope from Carol Ann," and the company often makes a gift of hearts to various conferences for distribution to delegates. "These hearts are more than just a warm and fuzzy little gift," Ruth points out. "People who receive a Comfort Heart learn Carol Ann's story and they're often inspired by it. They find a reason to keep the heart close and often buy hearts for others, which raises more money for cancer research. These little hearts are even being given out a baptisms and christenings... they're everywhere." Carol Ann is an avid fitness buff and has been keeping especially busy the past few months by working on her book - entitled Comfort Heart: A Personal Memoir - which will appear in bookstores this fall. And she received some wonderful news when she found out, just recently, that she has been appointed as a member of the Order of Canada. "It's such an honour!" she exclaims. October 2000 - St. John's, Newfoundland "The Telegram"
The year 1992 was not a good one for Carol Ann Cole. In January that year, the Nova Scotia native, then 46, and her 75-year old mother, Mary Cole, were both diagnosed with breast cancer. Carol Ann had a successful lumpectomy. Her mother, who had been aware for some time that she had a lump in her breast but was afraid to have it checked, wasn't as fortunate. By the time she saw a physician, the cancer had spread throughout her body. Mary died in December 1992, 11 months after being diagnosed with cancer. At the time of their illnesses, Cole and her mother were both living in Toronto. "Watching cancer kill Mom was horrible," says Cole. "In retrospect, though, it was wonderful. We were there for each other, we created black humour, laughing together. Crying together. In Toronto, where we both had radiation, we were known as the mother/daughter cancer team." By the time her mother passed away, Cole had returned to her job as a high-flying vice-president at Bell Canada. She loved her job. But, following her mother's death and her own bout with cancer, the self-described workaholic found it no longer held the same spark for her. In 1994, she jumped at an early retirement package and, once retired, vowed to give five years to what she calls "the cancer community." "I was given an opportunity to change," she says. "For me, cancer was not a death, but a doorway." Cole's doorway led to her home province of Nova Scotia. Following her retirement, she moved to Halifax and began working full-time with cancer patients. On a visit to her Annapolis Valley hometown of Middleton, she dropped into OceanArt Pewter, a store filled with small pewter gift items. Her eye was caught by a wicker basket filled with pewter hearts, designed, like worry beads, to soothe the holder during stressful times. At first, she bought 25 of the Worry Hearts to pass out to cancer patients while they were receiving treatment. Later, after giving away. 117 of the hearts to people living at a time she now calls "half-past cancer," she came up with the idea of selling them to raise money for cancer research. She persuaded May Ocean owner of OceanArt, and her sister, Linda Power, herself a cancer survivor, to change the name of the heart to the Comfort Heart and join the fund-raising effort by donating $6 of the $10 price to cancer research. Working together - Changes Cole, herself, instigated included the addition of a tiny second heart onto the original. She says the two hearts signify cancer survivors and supporters working together, heart to heart. She also had the manufacturers add a pewter loop so that the Comfort Heart can be worn as a pendant or hung from a key chain. With the Comfort Heart a reality, Cole hit the sales circuit, making speeches, appearing on talk shows and doing whatever it took to promote the shiny little hearts. Her efforts so far have raised $1 million for cancer research. Now, three years past her planned goal of five years dedicated to the cancer community, Cole is still going strong and has embarked on a quest to raise a second million, this one specifically for breast cancer research. Cole - who had 28 radiation treatments, took the anti-cancer drug, Tamoxifen, for five years, and remains cancer-free - is this year's Atlantic Canada spokeswoman for the Canadian Breast Cancer foundation. A charitable organization dedicated exclusively to the support and advancement of breast cancer research, education, diagnosis and treatment, the foundation has, since its inception in 1986, awarded more than $9.6 million for breast cancer research projects and services. On Oct. 30, Cole will be in St. John's speaking at an already sold out Breast Cancer Awareness Day breakfast at Hotel Newfoundland. In addition to her continuing work of raising funds for cancer research, Cole has, as well, stepped back into corporate waters. In 1999, she 1aunched her own business, Colemind, and embarked upon a professional speaking career. She's a member of The Canadian Association of Professional Speaker's. She's also working on her first book. Broad Shoulders - A Memoir from the Heart is the working title of her life story, "My book is the story of a high school graduate from Nova Scotia who became a vice-president at Bell Canada and beat cancer," is Cole's explanation of the book that will be published by ECW Publishing of Toronto in the fall of 2001. The second of four daughters, Cole did a commercial course in high school and, days after graduation, left Middleton in search of a job. She went to North Bay, Ontario, where she stayed with relatives and very quickly got work as a typist with the Bank of Nova Scotia. On Fast Track - A year later, she became a typist at Bell Canada. Still in North Bay, she married, had a son, James Scott, now 31 and living in Barrie, Ontario, divorced, and got on the fast track to corporate success. Always willing to relocate and take on different jobs, she became one of the first women to be a vice-president at Bell Canada. She finished her career with Bell Canada in Toronto. She says the reason she's writing her life story is because she believes the lessons she has learned can help others. Cole, who lives in Halifax and commutes to Toronto at least once a month, has no desire to ever return to a regular nine-to-five job. Her goals for the future, include continuing to raise money for cancer research and continuing her career as a professional speaker. October 26, 2000 - Fredericton, New Brunswick "The Daily Gleaner"
With a title organizers say was meant to shock, dozens of Fredericton women fastened leaves, funnels and even milk cartons to their chests on Wednesday to bring awareness to breast cancer. Wednesday night, despite rumblings that protesters would picket the event's controversial name. Organizers say they never intended to offend anyone but wanted to shock women into paying attention to their breast health. "You almost have to shock people to get their attention and that was the motivation behind this event," said Elizabeth MacFarlane, co-chair of the event. About 150 tickets were sold, with any proceeds going towards breast cancer research. "We just want to make the whole idea of breasts more comfortable to people. To bring it out of the closet so they can talk about it," said MacFarlane. The stories could fill a book and someday they just might. There's the one about the cancer patient who wouldn't undergo treatment without her little pewter Comfort Heart, a gift from a loved one, in hand. And another about Tish, a computer instructor at Village Elementary in York, Maine, whose fellow teachers bought Comfort Hearts to wear each day in support of her battle with the cancer that eventually took her life. When we made a presentation to Tish about the Comfort Heart tribute, she cried and said, 'I can't tell you how much this helps me'" says Jackie McKim, the fourth grade teacher at Village Elementary who initiated the project. "It's the idea of having support and not feeling alone. And if you ever feel alone, you just hold your heart." The heart in question is a graceful few ounces of metal devised by Carol Ann Cole. She is a seven-year breast cancer survivor and founder of teh Halifax based Comfort Heart Initiative, which has raised nearly $800,000 for the Canadian Cancer Society. This small-town Nova Scotia girl started her career as an 18-year-old typist for Bell Canada. She ended in Toronto, having ascended to vice-president of logistics despite shouldering the additional demands of single motherhood. Sadly, breast cancer stopped this capable and driven woman in her tracks. Cole's diagnosis came in January 1992. Her discovery occurred within days of her mother, Mary, finding out that she also had the disease. Unfortunately, Mom's outlook was quite grim. Mary had known that there was a a lump in her breast for some time, but she was afraid to get it checked. By the time it became too big to ignore, the cancer had spread throughout her body. the quality of that time. By the time Mary passed away that December, Carol Ann was back at work. Yet she realized cancer had claimed more than her mother. "Work didn't have the same spark for me," Cole says, "Cancer not only changes who you are, it shows who you are. I think showing who you are is the most significant thin. I'm from a very small town. When I was climbing the corporate ladder, people would sometimes call me a 'country bumpkin' and I'd be a bit embarrassed. After surviving cancer, I started to think, 'Yeah, and I'm proud of that, and I've done well.' And I began to define doing well by being able to bring people some help through my own life experience." Around this time, Cle took a fateful trip back home, where she discovered what were then called "Worry Hearts" at a shop in Nova Scotia. She bought and gave away 117 of them before two friends suggested she sell them as a fund-raiser. Cole contacted the manufacturer, OceanArt Pewter, and asked them to make a few design alterations, change the name and donate all profit to her initiative. "I'm a two-time Hodgkin's survivor," says OceanArt Pewter vice president Linda Power. "We were always keeping an eye open for a positive way to give back. Once you have cancer, you have a connection to people in the cancer community that you can't have with others. After meeting with Carol Ann, we felt that if anyone could do something successfully, she could." In 1994, Cole jumped at an early retirement package and devoted herself to the cause full-time. Two Canadian national speaking tours, a ton of media attention and Cole's charisma have sold more than 130,000 Comfort Hearts at ten bucks a pop, with six of those dollars going directly to research. And know that her brainchild is up and running, Cole is simultaneously starting a third career as a motivational speaker. "I'm feeling a need to help people with some of my other strengths and not just my cancer experience," she says. One Comfort Heart at a time. That's how Carol Ann Cole, former Bell vice-president and breast cancer survivor, has raised more than $1 million for cancer research. She started the Comfort Heart initiative in 1996, with a goal to raise $500000. Thanks to her unflagging energy, the individual efforts of many volunteers and support from Bell Canada, Carol Ann has surpassed that goal - twice. She's also toured across Canada, speaking to groups from five to 1,000 people, volunteering her time, enthusiasm and effort. "Regardless of the audience size, the most humbling thing has been the human connection this small pewter heart creates," says Carol Ann. "Without exception, the feedback I receive is that the Comfort Heart gives you three things: comfort, hope and the constant reminder that you are not alone." Carol Ann appreciates the continued support from Bell. She's in touch with someone from the company almost daily. "My contact with the Bell family remains as strong as ever," she says. Carol Ann has been honoured with numerous awards, including the Canadian Cancer Society's Terry Fox Award, the Maclean's Honour Roll 1998, and the Jewish Women International (Toronto chapter) Woman of the Year Award. She is a national board member of the Canadian Breast Cancer Network and the Canadian Breast Cancer Research Initiative.